TESTHEAD: Looking For Test Talent? Matt Heusser is Available! Looking For Test Talent? Matt Heusser is Available! 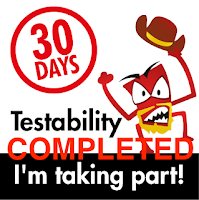 About 18 months ago, I went into overdrive as I decided I wanted to “fall in love with testing” again. One person has been more responsible for helping re-kindle that spirit, both with encouragement and with active participation in the process, than any other, and that’s Matt Heusser. Matt is more than a software tester. He’s an excellent writer. He’s a great spokesperson for our industry. He’s a spot on and excellent presenter. He also knows how to interview people very well. HE teaches, mentors, and helps people in so many ways, myself being a prime recipient, but there are many others. Due to a restructuring of his company, Matt will be “at liberty” as of May 3rd, 2011. If you ever wanted to get your hands on a “hot property” in the testing world, well, now’s your chance to get one of the best players out there as a free agent. Seriously, check out his blog if you’d like to see the caliber of brain we’re talking about here. Note: I am getting no kick-back for this, I’m doing this because of exactly as I said in the first paragraph. 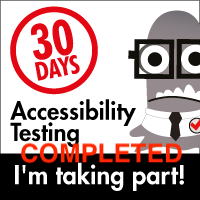 Matt’s given a lot to the development of software testing as a craft and a profession. It’s time we all did likewise. One thing I can say for sure, Matt won’t be on the market for long :).